The first was by way of the work of anthropologists and scientists associated with British colonial development efforts under the aegis of colonial administrator Malcolm Hailey. 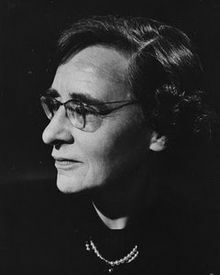 Lord Hailey, after a career in the Indian Civil Service, was tapped to run the African Survey in the 1930s and the Colonial Research Committee in the 1940s, and was an advocate of multidisciplinary social science research, particularly anthropological, in the colonies. In some areas land custom is changing rapidly under the influence of new conditions, such as the increase of the pressure of population or the spread of a market economy. These changes will eventually involve official intervention . . . ; the need must, for example, be envisaged for the definition and recording of title . . . There is nothing peculiar to Africa in the general direction which the evolution of land custom is taking; its adjustment in response to economic changes is a natural process which would occur independently of any action taken by the administration. All discussions on the subject agree as to the value of giving security to the occupier of land, and the further advantage of what is generally termed the individualization of tenures. It has been urged on different occasions that the extended system of rights, vested in the family or group, has proved in Africa to be an obstacle to improved agriculture. Those who have had to deal with East African conditions have added the . . . argument that there is little incentive to natives to reduce their live-stock in order to prevent the wastage of pasture and consequent erosion, since nothing done by the individual will avail unless his neighbours take corresponding action . . . In the extensive Colonial areas in which the system of landholding is based on the conception of a collective right in the land, the most conspicuous effect of economic development will . . . appear in the progressive individualization of holdings. That process will have the economic advantage of giving to the holders a greater sense of security and a greater incentive to a more intensive type of cultivation . . .
An undue acceleration in the form taken by the development of a system of proprietary tenures may impair the success of major schemes of irrigation, which depends largely on the holding of land in units suitable for irrigated cultivation. The establishment of exclusive rights over pastoral lands may make it difficult to adopt the regime of rotational closures necessary to prevent their deterioration. Measures necessary for soil conservation, such as contour ridging, may be rendered more difficult . . . . Exceptional difficulties are also liable to occur in connection with the rights in certain forestal products, for example palm trees. As experience shows, such rights may be held in a manner which presents grave obstacles to the development of economic methods of processing or marketing. Worthington’s earliest statement of the theory came in the opening to his report on his wartime work for the Middle East Supply Centre investigating Middle Eastern science, in a section entitled “Stages of Development”: “In analyzing the problems it is useful to keep in mind the four stages of human development which are associated with an increased pressure of population on the land, namely the modes of life illustrated by hunters, shepherds, cultivators, and industrial workers.” As population in the region increased, he wrote, the outlet should be “progress towards the industrial stage,” but even then the Maltshusian specter of population increase outstripping production loomed. Lest one think that these four stages were simply the categories that Worthington happened upon in his study, the above sentence appeared again, nearly verbatim, in the introduction to his influential Science in the Development of Africa. Though Worthington believed, like his Enlightenment predecessors, that transitions between stages were a matter of slow evolution, he thought that Africa would pass through the same stages as Europe but in a much shorter time, and drew familiar connections between population size and civilizational stages. Hailey’s chairmanship of the British Colonial Research Committee (created to help implement the Colonial Development and Welfare Act), Worthington’s leadership positions in a variety of development projects, and the influence of their oft-cited works with their expositions of stadial theory ensured an audience for stadial thinking in the world of international development. The field of development, also influenced by the evolutionist theories of anthropology surveyed above, in turn was an important influence on the commons thinking of Ostrom and her circle. The final line of intellectual influence of Enlightenment stadial theory on recent commons theory leads from early nineteenth century economist Thomas Malthus through his followers in the twentieth century conservation movement. The writings of Malthus on population, clearly a pervasive influence on later scholars dealing with issues of pressure on resources, were suffused with stadial thinking. Although for Malthus, changes in methods of subsistence and increasingly defined property rights drove population growth, not the reverse. Twentieth century eugenicist Alexander Carr-Saunders, whose work was influential on Worthington (among others), devoted considerable attention in his Population Problem (1922) to property institutions in societies of hunters, farmers, and so on. Land in many regions of Europe . . . was divided up and held in relatively small tracts for the use and benefit of individual owners and their families. Thus it was protected and cared for. European peoples early became intelligent tillers of the soil, and were not nomadic but lived for generations in one place. They loved their land and learned to return to it much of the substance they drew from it. It seems clear that Hardin, at least, was influenced by Carr-Saunders, Osborn, and their circles. Next in this series - the conclusion.